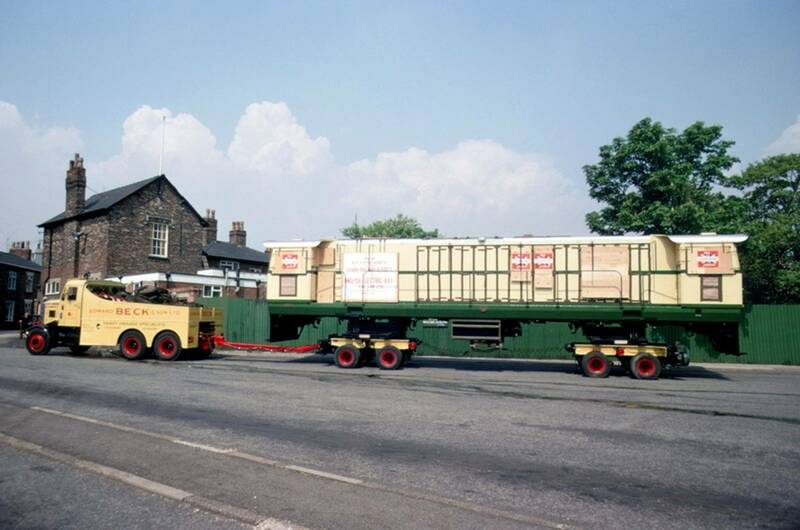 The long gone Vulcan Foundry locomotive works at Newton-le-Willows was one of Edward Beck's regular collection points. 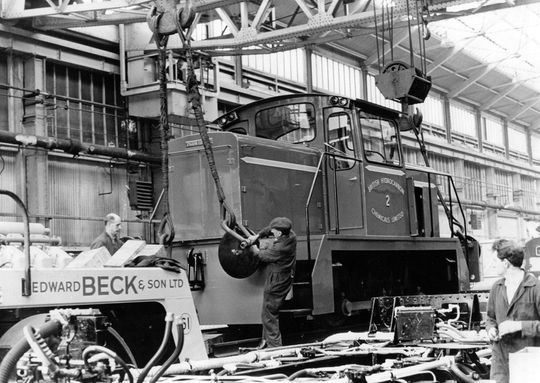 Over the years Beck's transported a large variety of locomotives destined for export to Liverpool Docks as well as transporting new locomotives to various destinations across the United Kingdom. 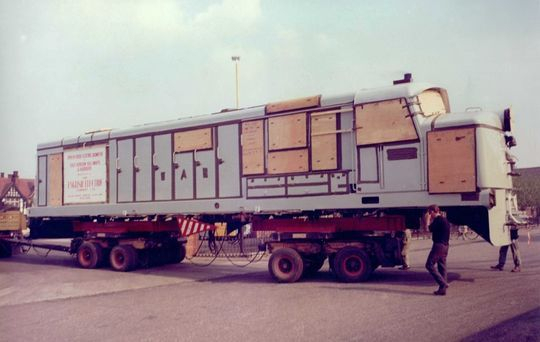 This Class 87 locomotive, built at the former Vulcan Works at Newton-le-Willows, was destined for the East African Railways & Harbours Corporation in 1961. Powered by the well known English Electric 12CSVT engine these loco's were transported minus their bogies and running gear making the weight a lot lighter at only 56 tons. A Class 87 locomotive, destined for the East African Railways & Harbours Corporation, is seen here shortly after leaving the Vulcan Works at Newton-le-Willows. 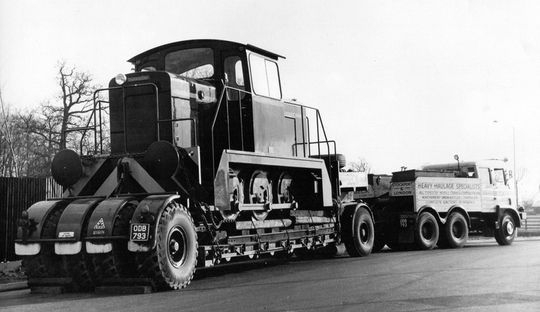 Foden S20 Ballast tractor Reg No ODB 832, powered by a Foden FD6 2-stroke engine, is seen here in 1963 while moving a locomotive at the Vulcan Foundry works at Newton-le-Willows. This English Electric shunter locomotive, destined for British Hydrocarbon Chemicals Ltd, is pictured here inside the Vulcan Foundry Works after being loaded on to one of Beck's low loaders in 1965. 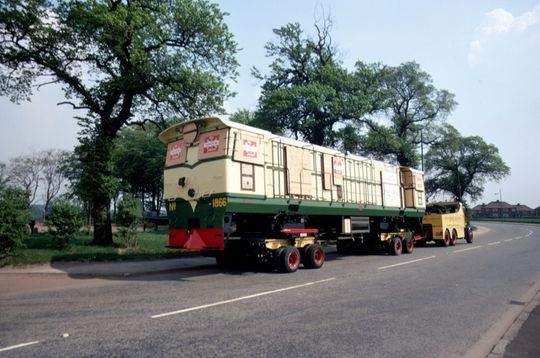 Click on any image in this gallery to view full size. Driver Vernon Macro pulls out of the Vulcan Foundry Works at Newton-le-Willows in 1965 with an English Electric locomotive on board destined for British Hydrocarbon Chemicals Ltd.
Edward Beck's S20 Foden heavy haulage 6x4 ballast tractor Reg No ODB 793 'The Big Bopper' makes its way through the City of Worcester on the 28th of March 1965 hauling a English Electric locomotive being carried on one of the company's four-in-line Dyson built low-loaders. 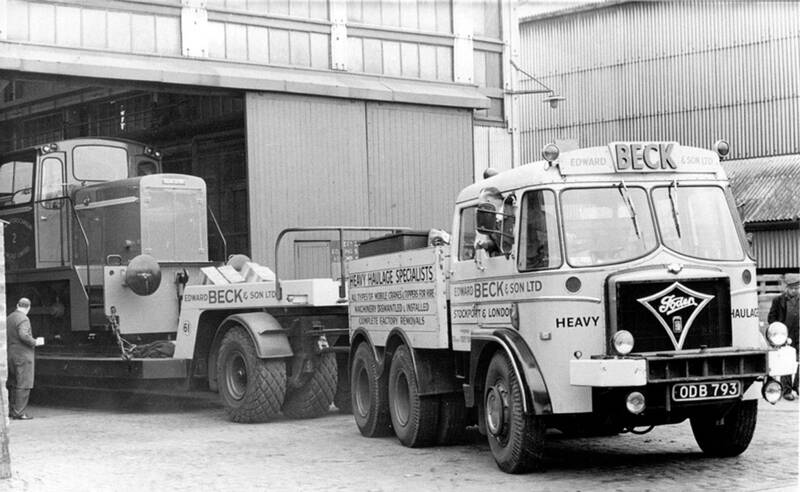 Scammell Constructor 6x6 heavy haulage ballast tractor Reg No HJA 148F named 'Katy' is seen here in 1970 after collecting a 1850 H.P. 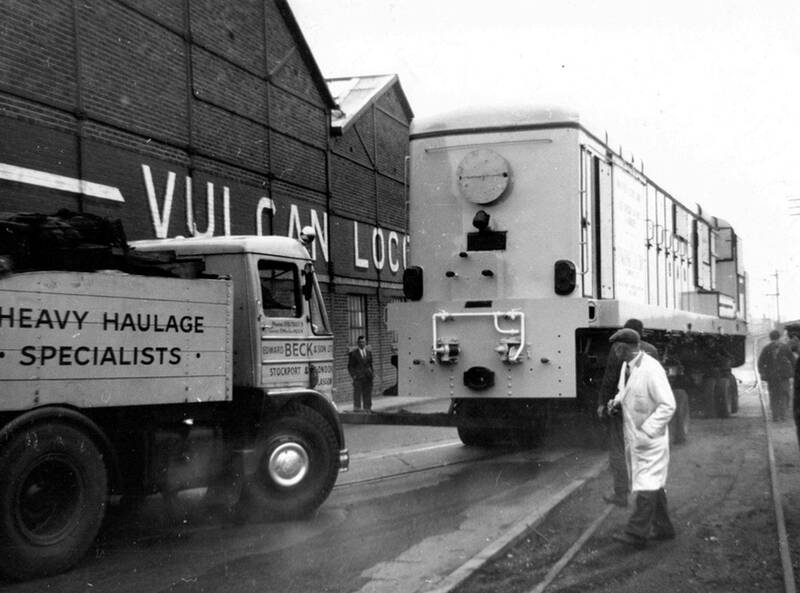 Diesel Electric Locomotive from the Vulcan Works at Newton-le-Willows. 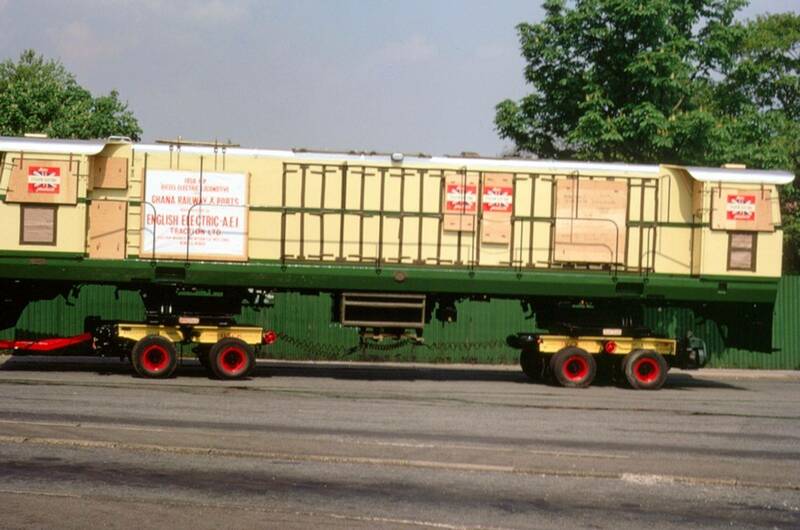 This particular locomotive, minus it's running gear, was destined for Ghana Railways & Ports in South Africa. 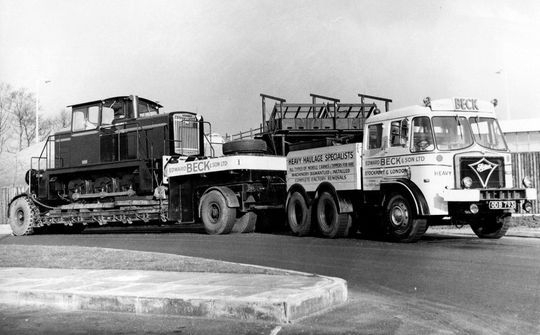 Transported on a pair bogies from the Vulcan Works to Liverpool Docks this Diesel Electric Locomotive, minus it's running gear, was one of many transported by Beck's in 1970 that were destined for Ghana Railways & Ports in South Africa. Scammell Constructor 6x6 heavy haulage ballast tractor Reg No HJA 148F heads off to Liverpool Docks after collecting a 1850 H.P Diesel Electric Locomotive from the Vulcan Works at Newton-le-Willows. 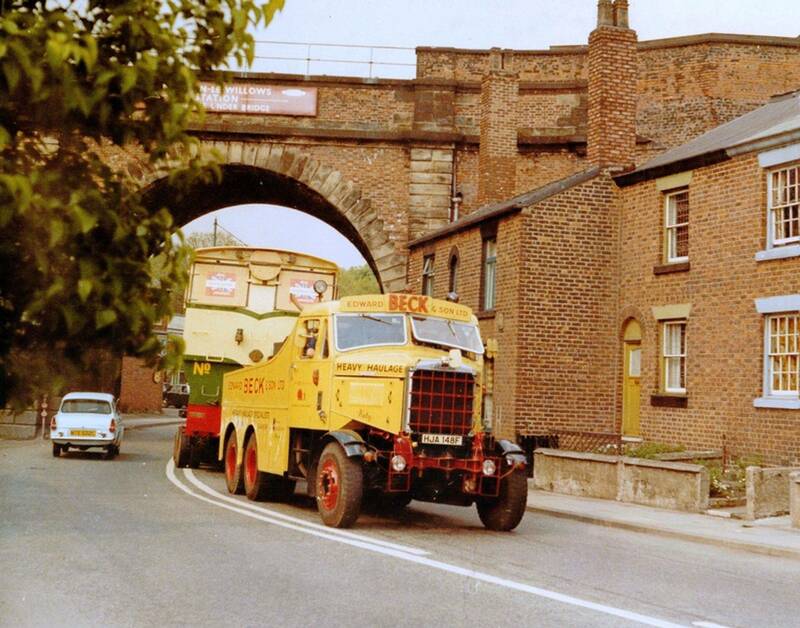 Scammell Constructor 6x6 heavy haulage ballast tractor Reg No HJA 148F named 'Katy' is seen here on the A49 Mill Lane, adjacent to Newton-le-Willows railway station, hauling a 1850 H.P. Diesel Electric Locomotive from the nearby Vulcan Works. Edward Beck's Foden S20 heavy haulage 6x4 ballast tractor Reg No ODB 793 nicknamed 'The Big Bopper' is seen here leaving the Vulcan Foundry Works at Newton-le-Willows with an English Electric locomotive on board. A rear end shot of Edward Beck's Foden S20 heavy haulage 6x4 ballast tractor Reg No ODB 793 leaving the Vulcan Foundry Works at Newton-le-Willows. 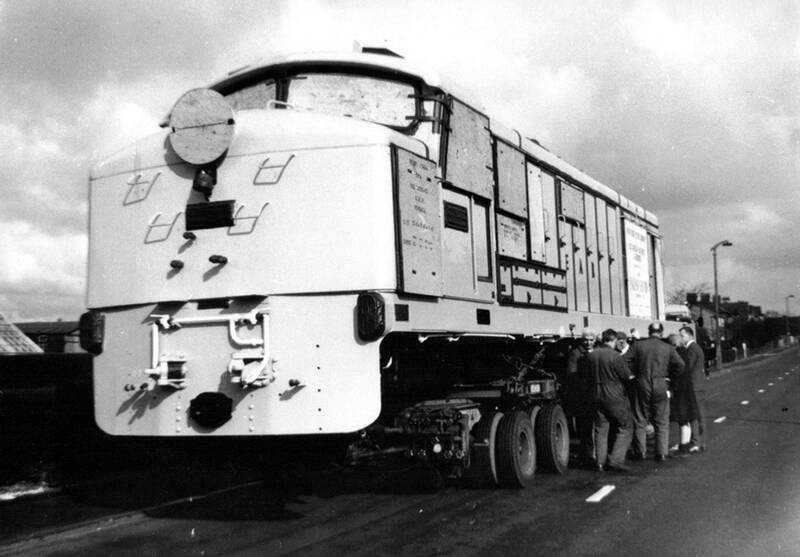 On board is an English Electric locomotive being carried on one of the company's four-in-line Dyson built low-loaders.